Three-layer fabric construction features a middle layer of microporous film that allows heat and sweat vapor to escape while protecting against dry particulates and liquid. Passes ASTM F1670/1671 testing for penetration of blood, body fluids and blood-borne pathogens. Patented REFLEX* Design is 7-1/2 times less likely to rip out than ANSI minimums � provides 12% more chest room and 6% longer body length. 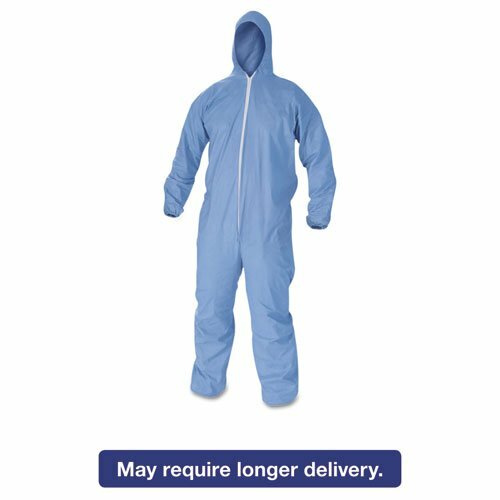 Includes 24 pairs of coveralls. If you have any questions about this product by Essendant, contact us by completing and submitting the form below. If you are looking for a specif part number, please include it with your message.